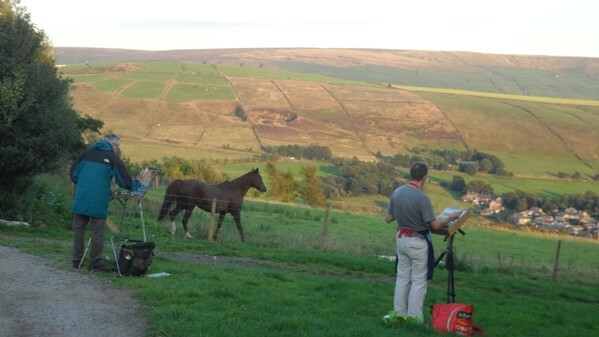 Recently for a change it was very nice weather, so I went on a little excursion to our local part of the Pennines to paint. I went with a group of artists and we managed to capture some lovely images very near the beautiful village of Delph, it was absolutely wonderful. I always become very inspired when I am there and have come to love the area despite it’s dramatic climate sometimes. I managed to complete several sketches in order to capture the real colours and the mood. I have placed them on my website. I hope you like them.